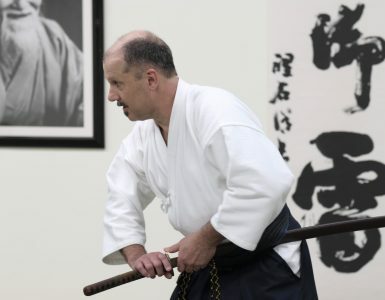 In this podcast episode, Bruce Bookman Sensei talks about his early techincal influcences including Yoshimitsu Yamada, Kazuo Chiba and Kisshomaru Ueshiba. 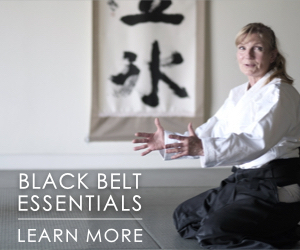 He also shares his thoughts on self-defense and his experience working with Aikido Journal on our first instructor seminar and our upcoming online course, Aikido Extensions with Bruce Bookman. This podcast was made possible by our patrons. We are getting closer to our goal of 200 patrons, which will allow us to produce regular podcasts twice a month. If you’d like to support our work and get early access to new content as well as other perks, join us on Patreon. 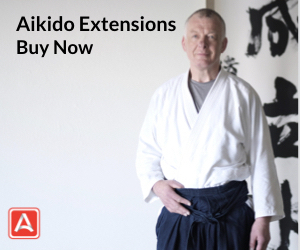 I want to offer Josh and Bookman Sensei what I expect will be one of many positive comments, praise and appreciation for your efforts to enrich and expand the skill base of aikido,. Having trained with Bookman in New York in the early 1970’s and in Japan in the late 1970’s there is no one whose skills and spirit I respect more. Addressing legitimate protection needs of students while preserving the core skills and spirit of our classical base is a challenging and delicate balance to achieve. I commend your sincere and thoughtful efforts in this direction. Teaching students to “close the distance” definitely helps to free students from the passive/reactive orientation of modern aikido. An important skill indeed. A potential danger of cross training is falling into the sport fighting / sparring mind set – which can get you killed in the street. Dancing around with “the” opponent to find an opening leaves you wide open from all directions except the front. O-Sensei resisted competition because it reinforces this confrontational tunnel vision. 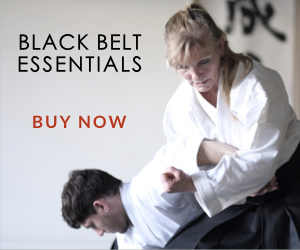 The unique strength of O-Sensei’s budo is a focus on the flanks and rear – battlefield awareness vs conFrontational focus. 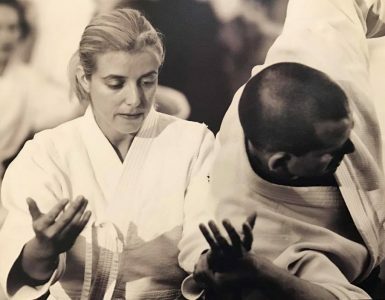 Aikido tai sabaki, basic techniques and hanmi all express this “happo zanshin” wide awareness mindset. If the awareness issue can be addressed and tunnel vision avoided cross training is great. Thank you again for your positive and creative efforts. What an absolutely fascinating podcast! Thank you, Josh, for providing a venue for Bookman Sensei to give us some valuable insights into his training and ways to improve our own training. 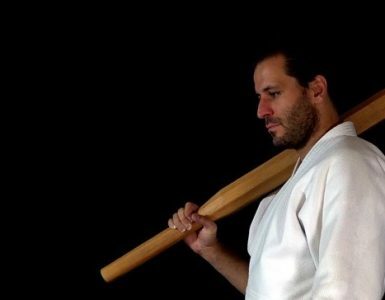 His life path in the martial arts as well as his personal Budo philosophy gave this podcast extra meaning. 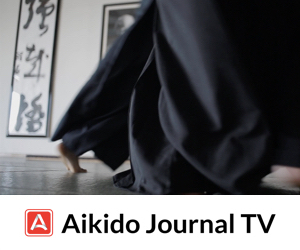 I really enjoy your Aikido Journal site, the videos, podcasts, articles are very interesting. I really enjoyed this! Thank you! Great interview, very inspirational and informative, perfect complement to the new online course.